Your Company is on Social Media, Now What? 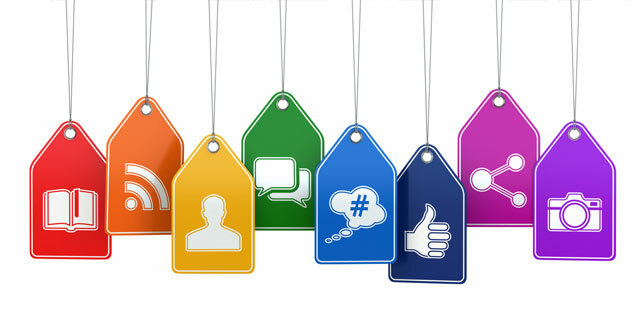 Social media can help keep your company top-of-mind for current customers and attract new business. Without a full marketing department or unlimited resources for a contractor, however, all of those social sites just feel overwhelming. “It’s impossible to write every story, for every audience, on every channel. Smart marketers pick their social media battles,” says Bill Sharp, Marketing Coordinator. Every good marketing plan starts by identifying who you want to reach. Who is your customer? What are his pain points? How does your company solve those problems? Also, does your audience vary by channel (ie, is your following on LinkedIn different than on Twitter)? The answers to these questions will help you craft messages that resonate rather than fall flat. Too often, B2B companies use social media to sell, sell, sell. There’s no quicker way to turn off your audience than with one tweet or Facebook post after another touting your products. Social media marketing should instead be used to establish yourself as an expert. Give your readers content they can sink their teeth into. Offer advice, share helpful resources, and then (and only then) occasionally mix in a sales pitch. There are more social media sites today than most marketers have time to use. It’s important to focus your efforts on only those channels that make sense for your industry and your business. While many B2B companies find value in LinkedIn and Twitter, they may not find Pinterest and Tumblr worthwhile. Look at what your competition is using and ask customers which sites they prefer, then narrow down the field. It’s far better to fully engage on two social media sites, than to half-heartedly use six. 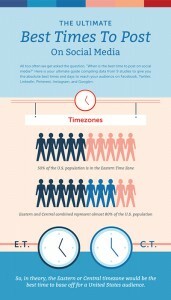 There’s plenty of research available about the best times to post on various social sites for maximum exposure. (We like this recent study that looked at 10 different studies on the topic.) What’s most important, however, is simply that you post and do so frequently. It’s not enough to tweet or put up a new LinkedIn post only when someone feels inspired. If you can’t create new content daily, create a week’s or month’s worth at once. Then, use a program like Hootsuite to schedule it so it automatically releases over time. Finally, every solid plan includes goals and metrics. Before blindly starting a social feed, consider the why behind it. Are you using social to drive traffic to your website? Promote your tradeshow booth? Improve customer retention? Set some measurable goals and then keep track of the effects of your efforts. This allows you to keep what’s working and tweak what’s not. When it comes to content, variety is the spice of life. Share links to your own blog posts and those from others in the industry. Tell behind-the-scenes stories using photos and videos. Give valuable content away in the form of infographics or worksheets. Also, never forget to reduce, reuse, and recycle your content. With minimal effort, one blog post with a great photo can be turned into a Facebook update, a LinkedIn post, a dozen tweets, an Instagram post, and more. By using today’s modern tools, you can improve your chances of winning bids, making money, justifying budgets, and getting the most of your workforce. For more information on the business of cleaning, product news and promotions join Tornado Industries’s official newsletter.